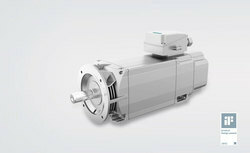 We are a leading Service Provider of siemens servo motor from Pune, India. We service all models of Siemens servo motor & siemens servo drives .we expert Siemens servo motor service shop. We have some range of refurbished Siemens servo motor in our stock.We have highly skilled technical personal to solve your servo motor problems.Feel free to contact Expert Automation. We will do our best service support at all times.